As we bid farewell to March and spring well and truly into the second quarter of the year, we do so with another World Book Day, Mother’s Day and Red Nose Day under our belts. Costumes are returned to the dressing-up box, handmade cards are neatly filed away for nostalgia, and red noses are probably lost by now anyway. However, March was not just the month for celebrating national events, it also marked the 10th birthday of our Mothership, SE22 Magazine. Friends and supporters of the magazine were invited to commemorate the occasion at a private party held upstairs at The Palmerston. Suzanne James Catering provided mouth-watering canapés for the guests and fizz flowed freely all night long. Last month also saw the grand opening of the first Brick House bakery café on Zenoria Street, just off Lordship Lane. 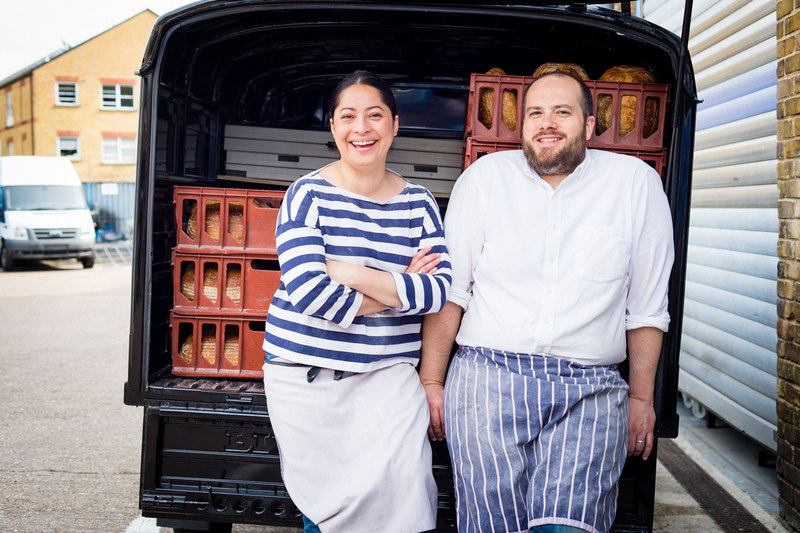 The artisan bakery, which is run by husband and wife team, Fergus and Sharmin, played host to a few highly esteemed locals on launch day, including our own Angela Burgess. Angela was also spotted over at Harris Girls Academy last month, where she was invited to discuss the Around Dulwich website on school radio. The Year-7 girls are mentored in media by David Preshaah, Director, Hoxton Radio and shown how to record and present their own show. So, with quite an eventful month behind us, it’s time to look forward to what’s on for April. If the weather predictions are to be believed, we could be in for a long sunny spell this month; and with Easter school holidays now upon us, there could not be a more perfect time for the sun to show itself! There is a lot to do locally for families wanting to make the most of the dry spell – the closed picnic area in Peckham Rye Park is a great space for a group meet-up with kids, as is the sand pit and play area at Horniman Triangle. Should showers descend, you can always take cover in the museum across the road and pay a visit to the Plantastic exhibition, which is bringing the miniature world of plants to life on a massive scale. After all that, you’ll most likely find me recovering in ToastED with a big glass of the Muscadet from their purpose-built tanks and a few rounds of duck rillettes. Dates for your diary – the Dulwich Festival will run from 8th-17th May this year, with the 10th annual Dulwich Festival Fair on Goose Green falling on Sunday 10th. The Ivy House will be hosting an Election Night Cabaret on 12th May with Jim Barclay and The Scummy Mummies leading the entertainment for you on the night. Details of all local news and events can be found online at www.arounddulwich.co.uk. You can also find Around Dulwich on Facebook and follow us on twitter @arounddulwich. This feature first appeared in the April 2015 issue of SE22 magazine.